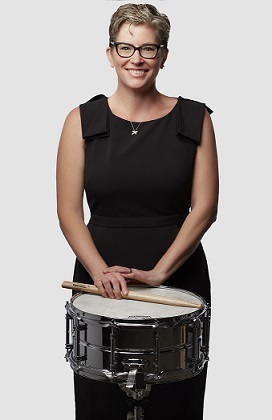 Julie Hill is an Artist and Educator for Zildjian Cymbals, and a Performing Artist for Yamaha Corporation of America. She is an artist and endorsee for Innovative Percussion, REMO, and Grover Pro Percussion. For more information, visit Julie Hill’s website at http://www.juliehilleducator.com.